French President Nicholas Sarkozy regularly jogs and cycles. French President Nicholas Sarkozy fainted while he was jogging at his weekend retreat and was rushed to the hospital Sunday. The problem, which doctors believe to be a "nerve attack" was described as "minor." The 54-year-old conservative reportedly fell ill while jogging at La Lanterne -- his weekend retreat near the Palace of Versailles -- and his wife, Carla Bruni-Sarkozy, rushed to his side on the back of a police motorcycle after she was told he collapsed in the woods, a witness told The AFP. Sarkozy was air-lifted by helicopter to Val de Grace military hospital where he was "doing well and talking normally to medical staff," cheif of staff Claude Gueant told AFP. Sarkozy had an issue with the vagus nerve, which helps regulate heart rate, but docors thought the problem was "minor," a presidential aide told AFP. Medical sources say that problems with the nerve can be worsened by dehydration, which may have been a factor since the president was jogging as temperatures soared to 82 degrees. A month ago, Sarkozy, who regularly jogs and cycles, had a routine medical exam, which indicated his heart was healthy and his blood was "normal." Upon taking office in May 2007, he assured the French people that he would be open about his health, regularly publishing the results of his physicals. Former presidents have hidden medical problems including Francois Mitterrand, who concealed his prostate cancer from the public for 11 years following his diagnoses shortly after being elected in 1981. 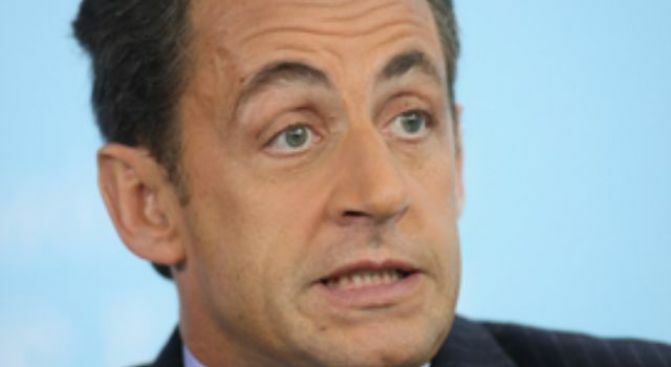 Sarkozy has not been as prompt and forthright about his health as he had promised. News of a minor 2007 throat surgery made it to the public three months after the procedure took place, and only one of the regular health bulletins he initially promised has been published since he took office.